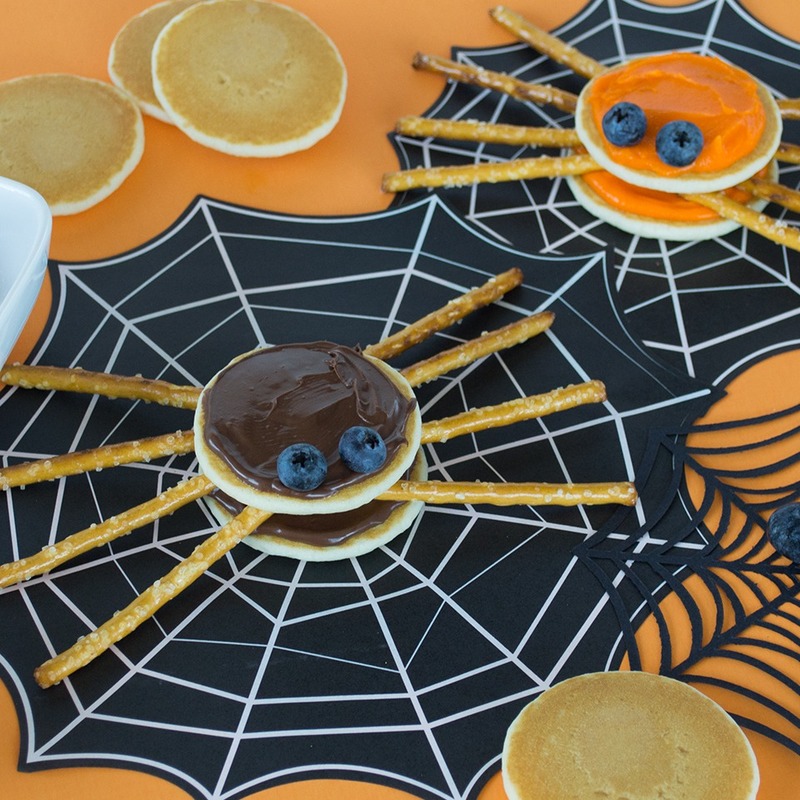 These Spooky Spider Treats are perfect for Halloween (or anytime you feel like having a Freaky Friday!) Made with our scarily good Mini Buttermilk Pancakes, chocolate-hazelnut spread, and crunchy pretzel sticks, they're as scrumptious as they are scary. Once pancakes have cooled, spread each with either chocolate hazelnut spread or orange frosting. Place one of the pancakes on a plate and arrange 4 pretzel sticks on either side, overlapping the pancake just a bit. Place the second pancake on top and finish off with 2 blueberry eyes.